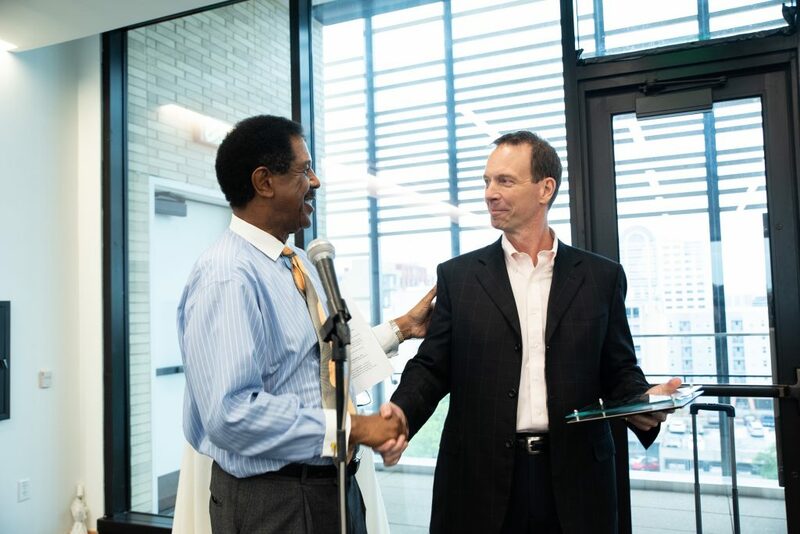 JBTVL Director John Sibley Butler and Founding Director Rob Adams hands out the Texas Venture Labs Pitch Competition awards in Rowling Hall on May 4, 2018. Photo by Lauren Gerson DeLeon. 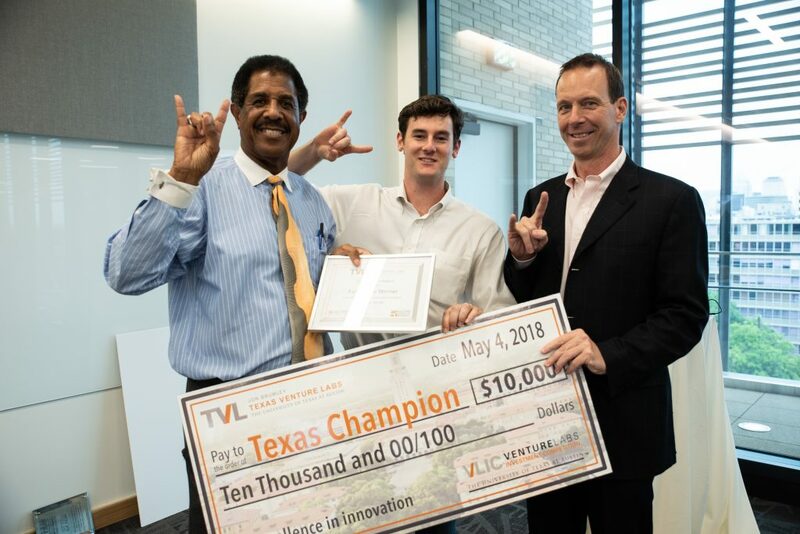 AUSTIN, Texas – Will Wilder, a Texas MBA ’18 candidate at the UT Austin McCombs School of Business received first place in the Spring 2018 Texas Venture Labs Investment Competition (TVLIC) on May 4, 2018, for his company, Wilder Systems (WS). manufacturers will save money, reduce defects, and improve ergonomics at a cost that is competitive with manual processes. “It is an honor to win TVLIC! I came to McCombs with an idea, and thanks to the help, mentorship and support of the McCombs community and especially Texas Venture Labs, I am graduating with a viable company. Thank you to everybody who has contributed to this success,” said Will Wilder, CEO. WS robots aircraftmanufacturers will save money, reduce defects, and improve ergonomics at a cost that is competitive with manual processes. WS robots aircraft manufacturers will save money, reduce defects, and improve ergonomics at a cost that is competitive with manual processes. 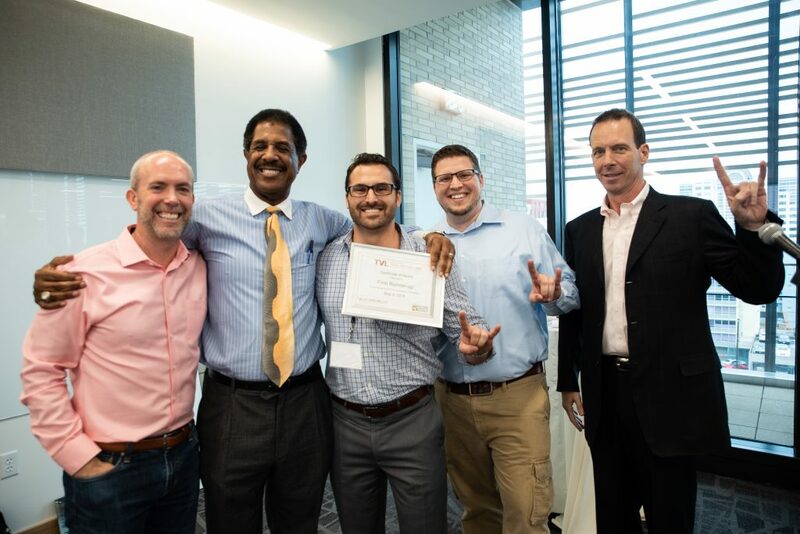 In addition to taking home first place, Wilder Systems received a cash prize of $10,000 and an opportunity to join TVL in New York City to close the Nasdaq. The other four finalists include Varuna in second place receiving $5,000, lettershine in third place receiving $2,000, Lawtomation in fourth place receiving $1,000, and Somerset Sparkling in fifth place receiving $1,000. In addition to awarding the top five teams, TVLIC also awards teams for specialized honors such as the Wells Fargo Clean Technology Award, the James D. Pippin Veteran Award, and the E. Craig Nemec Elevator Challenge Award. 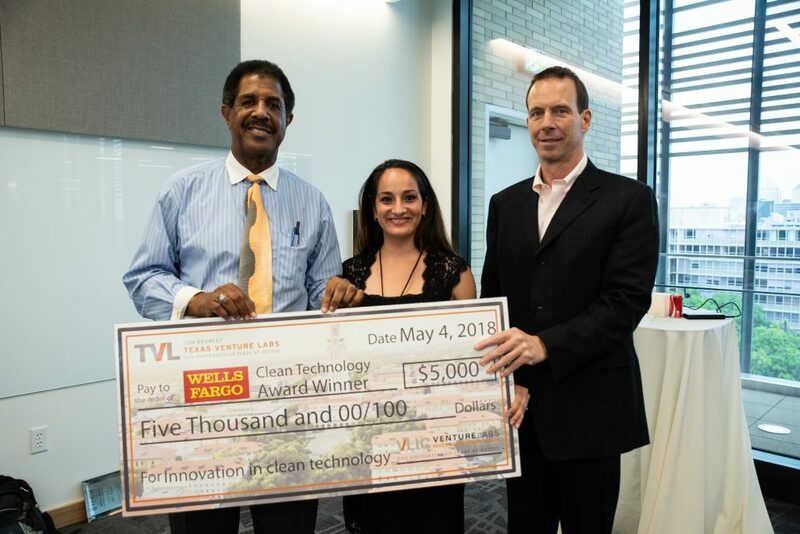 This year’s recipient of the Wells Fargo Clean Technology Award of $5,000 is WindSails. WindSails produces a relatively low-cost auxiliary marine propulsion and energy generation solution for the shipping industry. To meet and exceed the new environmental regulatory requirements with minimal downtime and ship modification, WindSails offers a high-altitude wind energy system to reduce engine demands by up to 38%. Additionally, the system will generate energy while docked and store for on-demand use. Varuna received the James D. Pippin Veteran Award of $1,000 given to the most promising startup in TVLIC with one or more veteran co-founders. The E. Craig Nemec Elevator Challenge Award goes to three teams that competed in TVLIC and gave the best elevator pitch for their business in two minutes. This year’s winners include, Blended, Boreas Technologies, and Lawtomation. Each team will receive $1,000. Hosted by Jon Brumley Texas Venture Labs at the McCombs School of Business at The University of Texas at Austin , TVLIC is open to all graduate students at UT Austin seeking funding for new business ventures. This Spring’s TVLIC had 19 startup companies in attendance from various disciplines such as business, law, physics, engineering, and economics. The competition follows a shark-tank style format where companies pitch their startups to a panel of experienced venture capital investors and entrepreneurs. Each team has 30 minutes to pitch to the judges. The winners of each semifinals division move on to compete in the finals to determine the Texas champion. In evaluating the student ventures, judges function as an investment group seeking to reach consensus on the business venture they would most likely fund. The Finals judges’ panel included Isaac Barchas, Translational Research Institute; Randall Crowder, Phunware; Greg Greeson, Euroway.com; Art Olbert, Angel Investor and Nishi Viswanathan, Dell Medical School. For more information on the teams selected to compete in 2018 TVLIC, visit the TVLIC blog announcement or to learn more about TVL’s programs visit tvl.utexas.edu. Next Post 2011 TVL Accelerator Company, Xeris Pharmaceuticals started trading as (XERS) on June 21!